After tasting the above 4 drams we ventured to taste some of the non premium drinks on display at the press launch – an 8YO blended whisky caught our eye. We had a nose and taste and have to admit the HIGHLAND BLACK 8 YEAR OLD SCOTCH BLENDED 40% ALC / VOL at only £12.49 for a 70cl bottle is a very fine blend and worth a try. Not entirely sure all 4 premium drams are worth the discounted price or the hype, out of the 4 I would recommend the 18YO and the 24YO, good Whiskies for a fair price… but it’s not always about the age, its about the Whisky its self … and it’s only ever worth it if you like it, so if you manage to get your hands on them give them a try, if not don’t panic. PS: wrap up warm when queueing for the older whiskies as stocks are very limited. The Glen Marnoch 18 has now made a return to Aldi, unfortunately at a higher retail price of £24.99. Still a great price for an 18yo whisky! got a bottle of the 18 today..as you say it is 25£ but a very fine dram and as much as I like the 24, the 18 was better last time…but think I’ll hold on to this bottle for a later date. 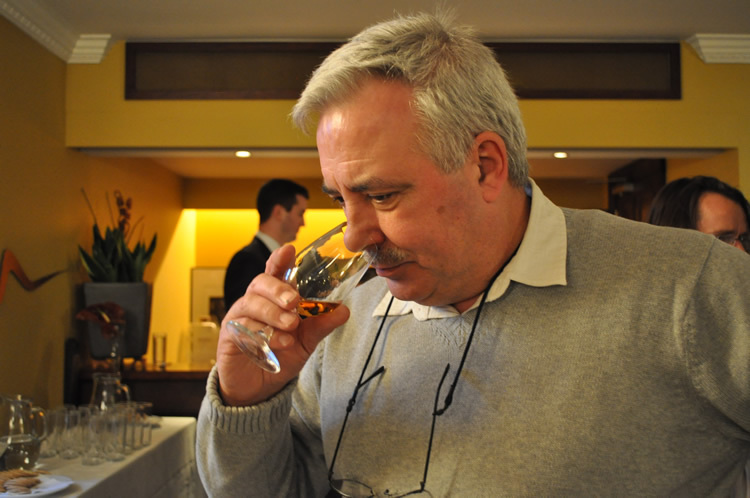 I have tried all the above Glen Marnoch Whiskies a little too much. I liked 18 year old out of the lot drank 2 bottles. The 24 was far too easy to drink but superb and excellent drank 2 bottles . As an update to this article on Glen Marnoch I really enjoyed their recent Bourbon and Limited edition Islay Edition drank 2 bottles each. Islay edition is a very strong one in taste which I found earthy and very peaty drank one bottle and wanted more. 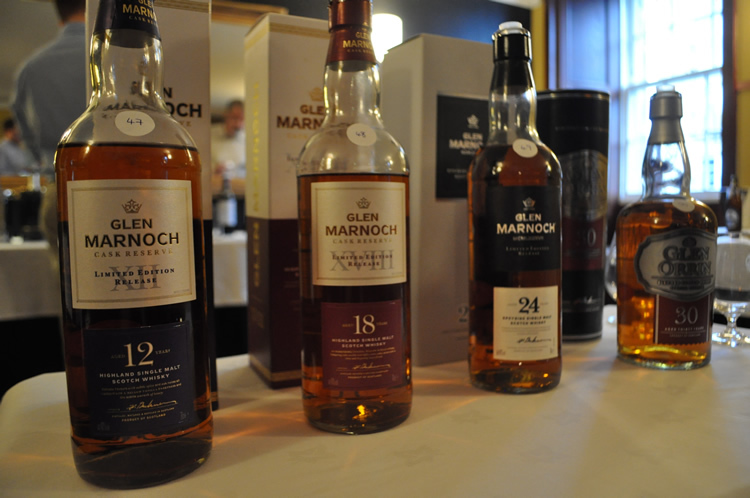 I liked all the Glen Marnoch editions and I would never say no to the 12 year old release either. All fanstatic and at a good price. It was nice to spend 1 year going through the lot of them. I would certainly buy them all again given the chance. I also had their older one about 3-4 years ago and they were good too. Aldi have deservedly won a substantial reputation in the field of Single Malts. The Speyside has great character associated with Bourbon casks. For Christmas 2014 they produced an Islay blended whisky which I found delightful. It was markedly smoky, but much softer than the medicinal peated “heavies”. – perhaps comparable to Bowmore. This year they have gone for a smokier dram which promises more of the Ardbeg or Lagavulin character. I haven’t opened it yet. I’ve also got a bottle of Highland Black in – it promises to be a good nightcap! I am a whiskey nut and just love to try different blends. So I’m in Aldi and notice the 12 year and 18 year Glen Marnoch single malt, well what does a whiskey man do but buy both bottles. I have to say they were both just fantastic. They were smooth with lots of flavour and I have been telling all my whiskey friends about them. Aldi please keep up the great service of providing fantastic whiskies.